DAC Racing formula 1, extremely funny, and super fast boat for adrenaline junkies. 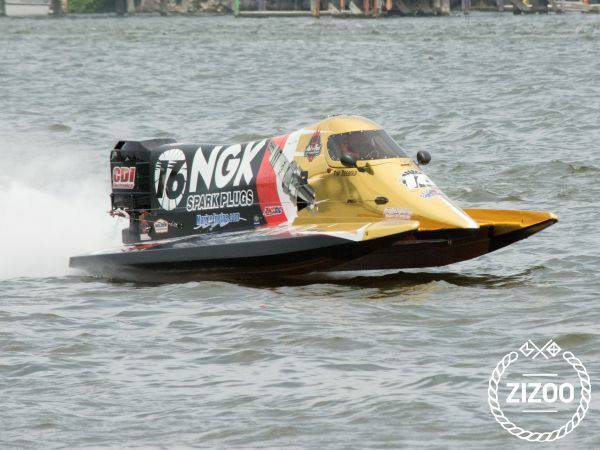 Formula 1 boats are able to turn almost instantaneously incurring more G forces than any other racing machine on the planet. Because of safety reasons, engine is limited to 130hp. One hour costs 200 euro, ideal for group of four people, 15min driving each. Fuel is included in price, and also you get a crew, that will be on another boat, connected over interfone, and timing your time between two buoys on the sea. For the present you get a video of your ride from go pro camera, so you will never forget this experience. Requested 49 times this week!